FEATURE — Many people miss having fresh garden produce in the winter so much that they are willing to grow it indoors. This can be a little challenging, but having fresh tomatoes on a sandwich or fresh peas on a winter salad makes it worth the effort. Location – West or south-facing windows provide sufficient light for many crops. Another option is to use inexpensive fluorescent lights placed approximately 6 inches from the plants. Incandescent bulbs should not be used since the wavelengths of the light they produce are not readily used by plants. Grow lights are an option, but they do not work any better than florescent bulbs and are more expensive. Temperature – A good temperature for most plants is around 70 F. Some gardeners have attempted to grow plants in an unheated garage during the winter with no success. This is not surprising since the garage acts as a natural refrigerator in the winter. 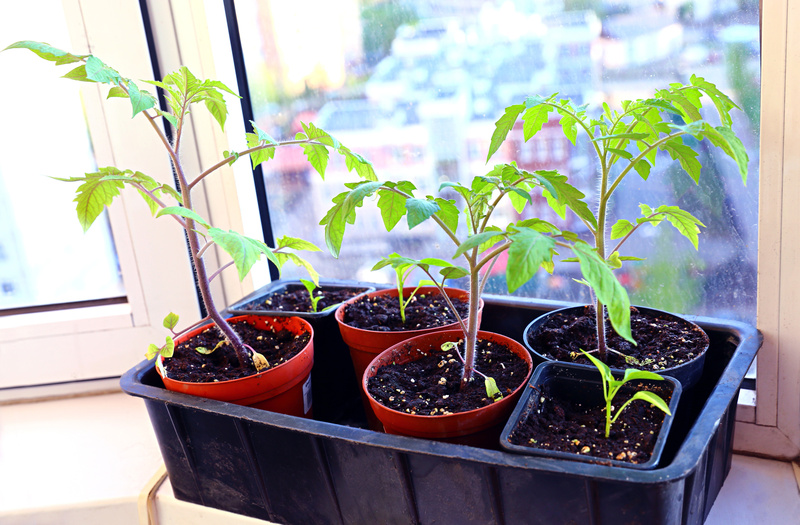 Soil – Potting soil works best for indoor growing and is available from many local retailers. Once plants have been growing for about a month, they often require fertilizer to keep them healthy. Mild, liquid houseplant formulations or slow-release granular products such as Osmocote are good choices. Pests and disease – Monitor plants closely for insect pests and disease. When a plant appears to be infested, isolate it from the others to prevent further spread. Heavily infested plants should be thrown away. Vegetable choices – Lettuce, peas and many herbs generally do well when grown indoors. Dwarf varieties of peas or other crops are often preferred since regular varieties may grow too large for limited indoor spaces. Dwarf varieties can be found from seed companies online and sometimes from local retailers.